If your car sounds like a dying cat, it's time to put that baby to rest. You’re behind the wheel, and your car starts making horrible creaking noises that elicit a round of jokes from your friends. You force a laugh too, but inside, you’re cringing. In fact, you’re lucky your friends are even riding with you—if you were them, you wouldn’t ride with you. Does this sound familiar? It might be time to put your suffering set of wheels to rest and get yourself a new one. 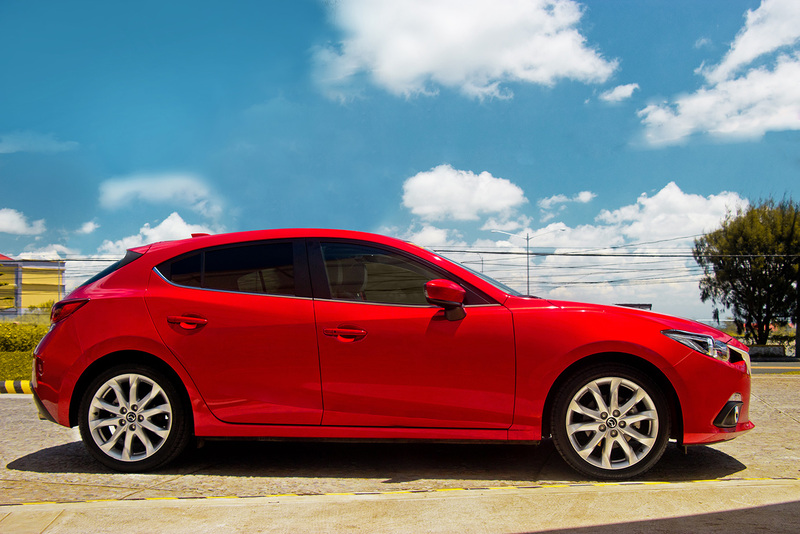 We’ve got just the ride for the Cosmo girl: the all-new Mazda3 SKYACTIV. Find out how this baby solves your car conundrums below! 1. You’re always stopping for gas. Old cars are shameless gas guzzlers. Meanwhile, the Mazda3's SKYACTIV Technology has been receiving praises from the U.S. Environmental Protection Agency for its fuel efficiency. Its 51 L capacity fuel tank lets you go on your way without the constant need to refuel. 2. You’re starting to feel guilty about what you’re doing to Mother Earth. You know you need to do something about that nasty smoke belcher which leaves a trail of evil wherever you go. The Mazda3 SKYACTIV is an eco-friendly choice, as it follows Euro 4 emission standards. 3. You admit: You’re one of those nervous new drivers who are terrified of taking their eyes off the road even for a second. Mazda3 SKYACTIV makes it easy for you with its new infotainment system, which consists of the Heads-up Display, a pop-up screen placed within the driver’s field of vision which displays vehicle speed; and the multi-function commander which lets you easily control the LCD screen by hand so you can keep your eyes straight ahead. 4. Your car’s stereo sounds like a dying cat. Don’t let your sucky car stereo kill your good vibes. The top-of-the-line Mazda3 SKYACTIV boasts of a 9-speaker Bose surround sound system with DVD which can turn your ride into the ultimate party central. 5. You have a ball of phone cables tangled hopelessly on your dashboard. You have cables and adaptors for charging your iPod, phone, and tablet scattered all over your car. Girl, that gadget charging mayhem has to go because this baby has two USB power supplies for charging multiple gadgets at the same time. 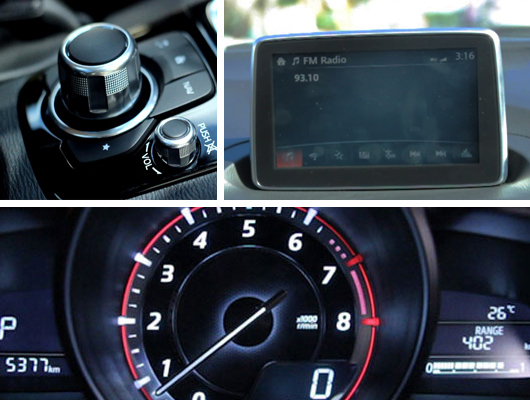 And have we mentioned that the Mazda3 SKYACTIV has a Bluetooth feature which lets you play music and podcasts easily from your smartphone? That’s wireless party central for you! 6. You’re still struggling with a stick shift and crank windows. It’s time to get with the times, girl! Opt for the Mazda3 SKYACTIV, which offers you seamless automatic transmission so you can shift gears like a pro, and power windows which let you flirt effortlessly with the cutie in the next lane. 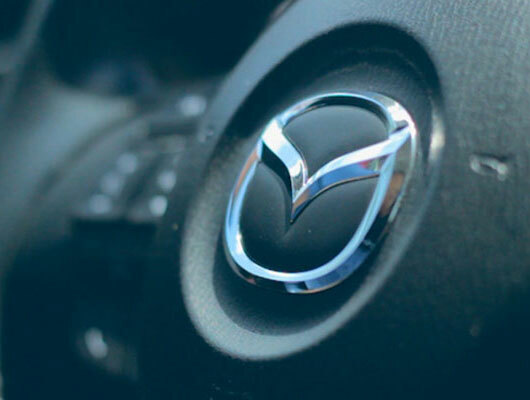 Good thing the Mazda3 SKYACTIV boasts topnotch safety and security, from passenger and driver airbags to stability, braking, and traction control features. 8. The repairs are happening so often, they’re burning a hole in your pocket. When your car’s practically a regular fixture at the shop, you know it’s time to get yourself a new one. Mazda’s YOJIN3 Total Care package comes with your brand-new Mazda3 SKYACTIV to give you three-year or 60,000km periodic maintenance service and three-year or 100,000km warranty. You also get three-year roadside assistance (like emergency towing, changing flat tires, and jump-starting dead batteries even in the middle of a dark street) as well as free concierge service (which BTW includes dining referrals and reservation assistance for when you and your guy can't decide on where to eat) just by calling (02) 687-8595. 9. Even your own sister is embarrassed to get in the junk heap you call your ride. Besides the sleek sedan or hatchback body inspired by the KODO Soul of Motion design philosophy, the Mazda3 SKYACTIV comes in Soul Red, White Pearl, Aluminum Metallic, and Jet Black colors—which are snazzy enough to have family and friends lining up to ride shotgun with you. 10. You're going places—literally and figuratively. As you move up the career ladder you'd want to have a ride worthy of your hard work. The Mazda3 SKYACTIV’s spacious interior is sure to keep everyone comfy, while the sliding glass sunroof is bound to impress your passengers. And if marriage and a family are on the horizon, the bigger trunk space will be perfect for all the future road trips you’ll be making with your honey and the little ones. Awww. 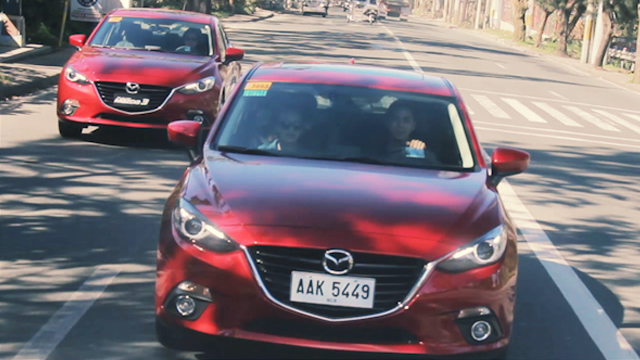 Obviously, the Mazda3 SKYACTIV packs a one-two punch of snazzy style and superior performance (as backed up by our bros on Top Gear Philippines who hailed this their Car of the Year for 2014). If you think it’s the solution to your current car woes, visit www.mazda.ph or your local car dealers to inquire about it now!